Mike Ditka would not be pleased. As the once mighty Chicago Bears continue the downward spiral into mediocrity due to a lack of a receiving corps to match the talent of their quarterback, things just get worse and worse. 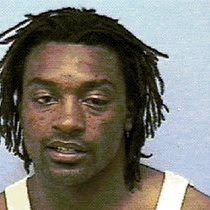 Cedric Benson, who was supposed to lead their running game this past season, was maced by an officer and charged with BWI, boating while intoxicated, and resisting arrest. What surprises me most about these charges is that a black man owns a boat, and that Benson wasn’t traded to the Bengals neither before nor after the incident. I’m sure Brian Urlacher will teach Benson a lesson if he escapes jail time. I can't tell you how many times I've been boating hammered. This is pure racism. If you think otherwise, then you're a racist too. DONT PUSH ME MAN.